The time is near… 2 more days until Season 7 of popular battle royale game, Fortnite launches. To tide fans over in the meantime, Epic Games has been launching daily teaser trailers for season 7. After the first teaser, which launched yesterday, officially announced Season 7, a new teaser was put out today. 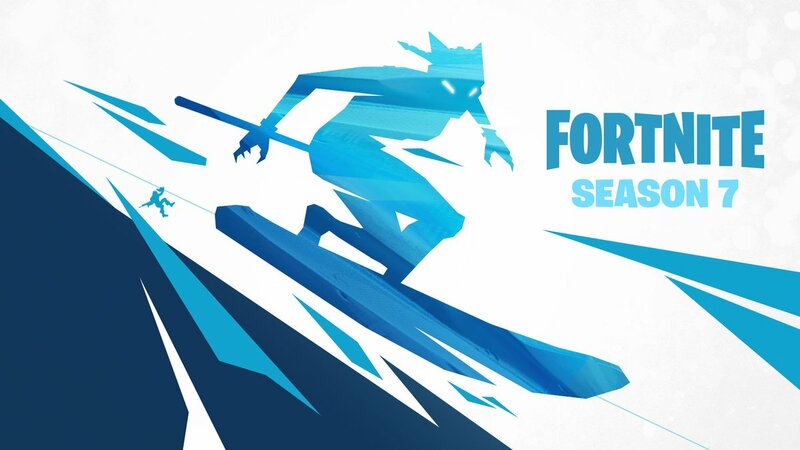 In the image, you can see some cat-ninja type person riding on an snowboard, which ties in to the rumored Christmas theme that this season is going to follow, after Season 6’s Halloween theme. The cat-ninja is most likely going to be in the game, as any new designs shown in these teasers since Season 4 have always been added as new skins in the battle pass. The same color scheme is followed from the previous teaser, continuing to hint to some kind of winter/Christmas theme. If you look closely in the background, you can see somebody riding on something that looks like a zip-line. The addition of these to Fortnite would really change mobility in fights, and escaping the storm. Epic games needs to try to not make these mobility changes overpowered, like they were in Season 5 whenever the dreaded grappler was added to the game. We are still to hear about any switches in the meta coming with Season 7’s new weapons/balance changes, like Season 5’s switch from the traditional meta to spray meta. Any meta change would be welcome at this point, as many fans and influences think the game is in the worst spot it has ever been right now, but Season 7 could be a turnaround and a redemption for the franchise after a lackluster Season 5 and 6. Are you excited for Fortnite Season 7, and do you think the game can make a comeback? How are the new items going to impact the game? Let us know on Twitter @gamezapnews! Stay tuned for all of the upcoming news on Season 7 of Fortnite and beyond!